An unexpected medical emergency can strike at any time, and even the best insurance policy is not going to cover all of the applicable expenses. Fundraisers have a long history of helping people gather financial assistance, and they are typically much more successful when they are posted online. DonationTo has made it possible for thousands of people worldwide to raise money, and we offer the necessary tools and tips to make sure you avoid making costly crowdfunding mistakes. As an added bonus, we have a partnership with two trusted payment processing companies: PayPal and WePay. This allows people to contribute 24/7 from any web-enabled device. 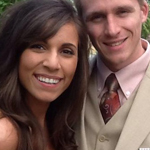 On October 4, 2015, Marinda told her husband, Gunnar, that she wasn’t feeling well. Gunnar realized almost immediately that the source of this ill feeling was a stroke, and he quickly called for emergency assistance. Marinda was in the emergency room within 15 minutes of the stroke, and this puts her in a good position to have a full recovery. However, Marinda did experience capillary ruptures on the right side of her brain, and she has needed extensive medical treatment as part of the recovery process. The medical bills that spending an extended amount of time in the hospital have racked up are enormous. A crowdfunding campaign was set up to help Marinda and Gunnar deal with the financial portion of the unexpected stroke. 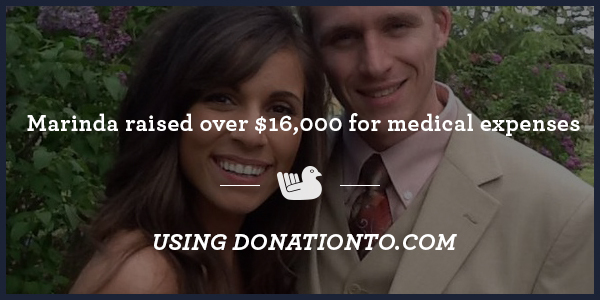 More than $16,000 was raised, and the couple has had access to each donation in real time because they chose DonationTo as their fundraising platform. Research has proven that people heal better when they are surrounded by support, and the financial burden that was relieved by all of the donations has allowed Marinda and Gunnar to focus on what really matters. As previously mentioned, receiving a lot of support helps people recover from medical issues. Although most people make the crowdfunding mistake of assuming that money is the only important aspect of asking for making an online donation, it is actually just as important to offer some words of comfort. To help make this a reality, we give every donor the opportunity to post a comment along with their contribution. Comments of this nature are certain to offer some solace, and they also make it clear that Marinda and Gunnar have a support system that they can call on throughout the extended recovery process. Having this knowledge reaffirmed during a difficult time is every bit as helpful as receiving financial assistance. Strokes are the leading cause of long-term disabilities in the U.S., and they also claim the lives of more than 140,000 people each year. Shockingly, almost 795,000 people will have a stroke this year, and 185,000 of them will have a repeat attack. Although most of the people who suffer from a stroke are over the age of 65, it is still surprisingly common for younger people to be afflicted by this medical issue. People who smoke or who have high blood pressure have the highest stroke risk. If you or a loved one begin to experience a stroke, there are several telltale symptoms that can help you determine that you need to call for help. The most common symptom is sudden numbness on one side of your body, especially in the face, leg or arm. Stroke victims may also experience trouble speaking, confusion, dizziness, a severe headache and difficulty seeing out of one or both eyes. Suffering from a sudden stroke or any other medical issue is scary enough on its own. When you add in unexpected medical expenses, it can become almost overwhelming, and this is not conducive to the healing process. Online fundraisers help people avoid dealing with the overwhelming nature of large bills when they should be focusing on getting better. 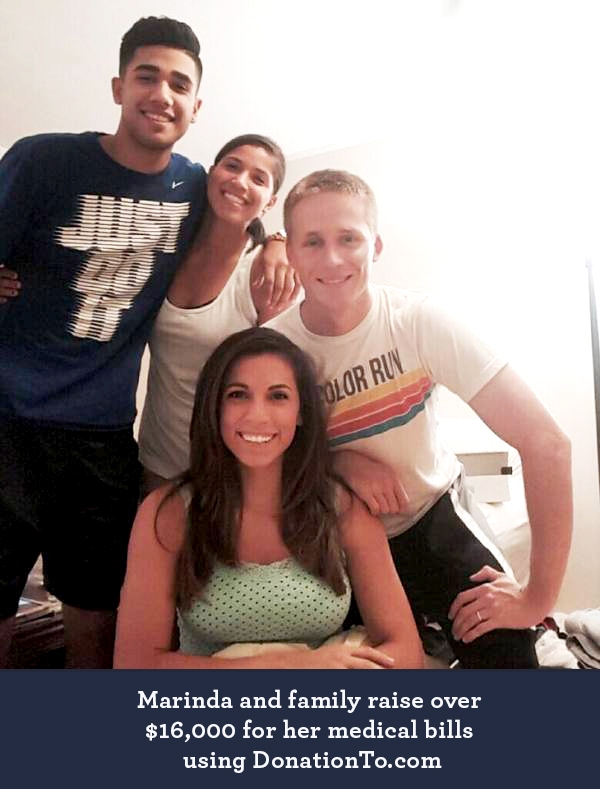 Marinda’s friends and family came together to support her and her husband during their time of need. This extended network raised more than $16,000, and this removes a lot of the financial burden associated with a long-term stay in the ICU. DonationTo enabled each supporter to make a contribution online via PayPal or WePay, and each donation was made available to Marinda in real time. Additionally, every donor was given the opportunity to post some words of support to help raise Marinda and Gunnar’s spirits.